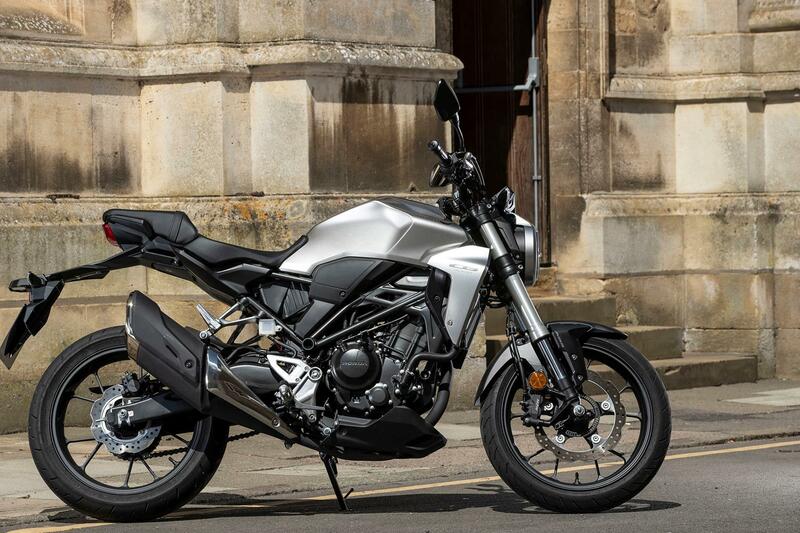 Honda describe the CB300R as a ‘stepping stone’ bike, a naked roadster that provides a natural progression from a 125 without too much of a jump in terms of capacity, weight or power. 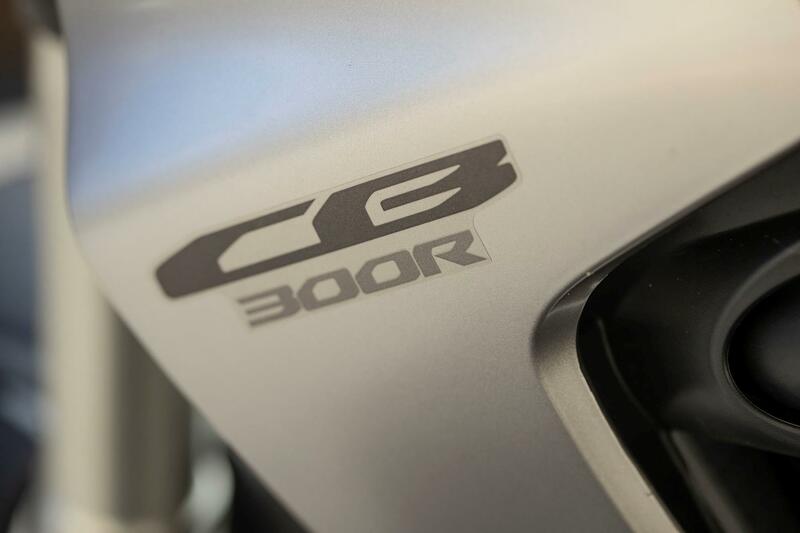 Such a bike has been missing from the firm’s model range as while the faired CBR250R (which evolved into the CBR300R) has been around since 2011, you have to go way back to the CB250, which was discontinued in 2003, to find a naked model that fulfils such a role. For 2018, Honda have righted this situation with the latest addition to the new ‘neo sports café’ CB range, the CB300R. It is easy to dismiss a 286c single as a bike designed for the far eastern market that has been forced upon Europe, but MCN was both surprised and impressed by the CB300R. The engine is pokey enough to have fun with while the chassis is ideal for those either progressing up from a 125 or just wanting a lightweight bike for urban use and weekend blasts in the countryside. The 390 Duke is certainly more of a premium product, and so is the G310R, but the Honda is charming, good looking and fun to ride. Surprisingly, the CB family look really works on this small capacity machine and the 300 is visually very appealing. Honda have done a good job and while it isn’t as ‘in your face’ as the KTM, it is certainly a step above other rivals in terms of kerb appeal. And it sounds good too, with the single emitting a nice bark of exhaust note at speed. It may be built in Thailand, but it does appear to have an impressive level of attention lavished on it. 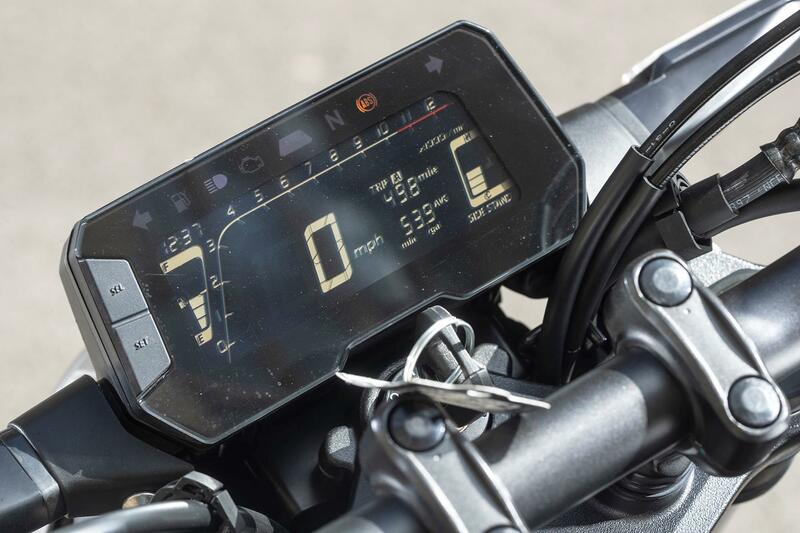 The obvious rival is the KTM 390 Duke, which at £4699 costs extra but boasts a more powerful 373cc single and a TFT dash with connectivity as an optional extra. 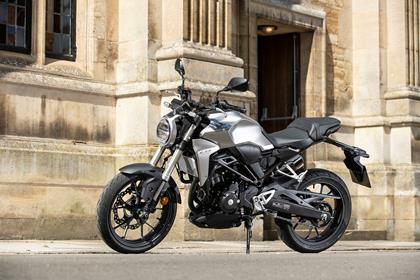 Kawasaki make the Z250SL, which is cheaper at £3649 but makes less power from its 249cc single and lacks ABS, while the BMW G310R is £4620 and more powerful than the Honda. 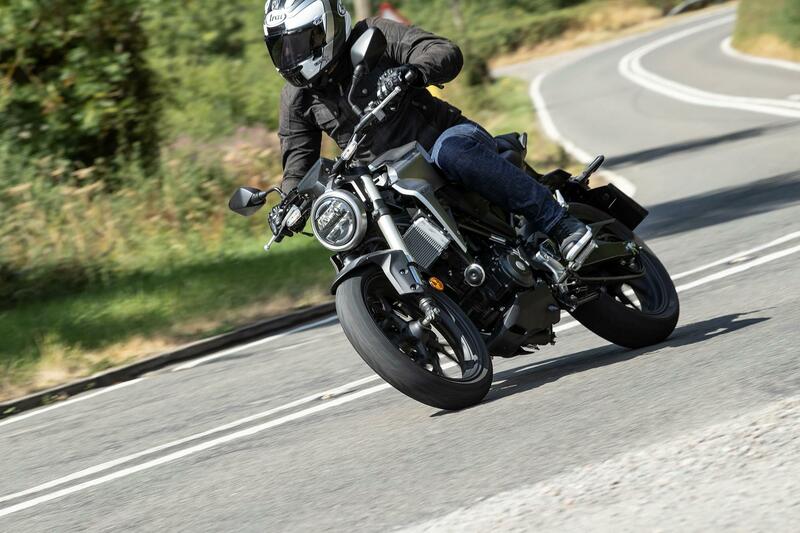 The Yamaha MT-03 is pricey at £4999, but you get a 41bhp parallel twin motor rather than a single. MCN put a crop of lightweight bikes through their paces, including the Honda CBR300R from which the CB gets its engine. Watch the video to see what we thought. 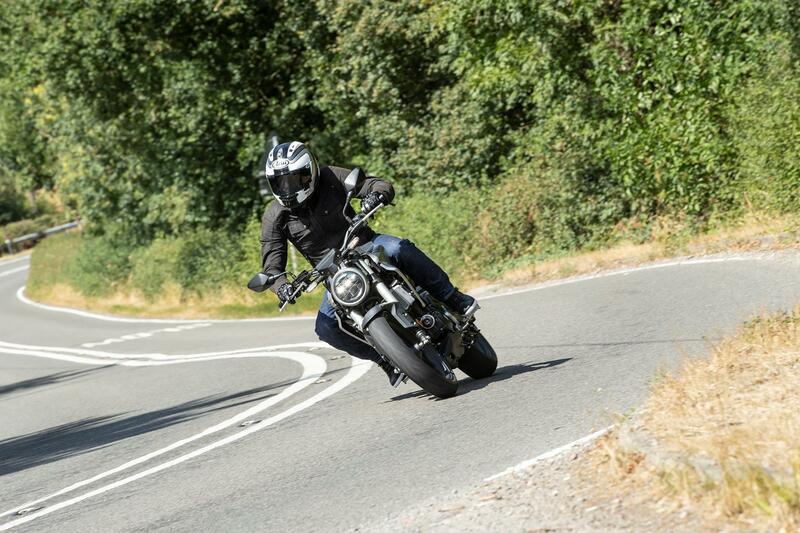 Usually lightweight bikes can feel skittish at speed, but the CB is remarkably assured in bends. The Showa forks are non-adjustable, but seem to respond well to undulations and the Dunlop Sportmax tyres offer good grip levels. The shock is a touch soft, but you can dial in some extra preload (there are five steps) to improve its support. In town the little Honda is extremely agile and feels light and easy to throw around. It’s a lovely bike to ride and also nice and roomy for taller riders. Compared to basic ABS systems found on 125cc bikes, the CB’s IMU-linked system is certainly a step ahead. Brake hard and the front dips as the forks compress and then sits at this point as the ABS system modulates the pressure between the front and rear calipers in accordance to the IMU’s readings. It’s a clever system and it takes a very firm tug of the front to get the ABS activating in the dry. Compared to the basic ABS systems found on 125cc bikes, it’s certainly a step ahead. Taken from the Honda CBR300R, the 286cc single is surprisingly punchy. Its performance is certainly helped by the bike’s light 143kg weight, but it still has an impressive turn of pace. It will happily cruise at an indicated 75mph, but for 50-60mph overtakes you do need to drop from top to fifth. The CB300R is built in Thailand, but while its chassis and styling are new, the motor is taken from the CBR300R and as such is a tried and tested unit. Reliability shouldn’t be an issue. 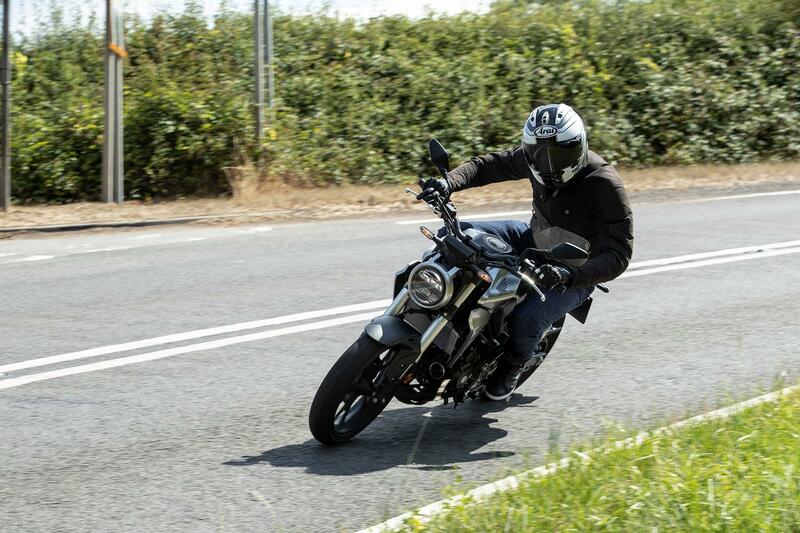 At £4429 the CB300R is cheaper than the KTM 390 Duke, but it is less powerful and lacks a TFT dash or the option of connectivity. The Honda is also cheaper than the BMW G310R, which is again more powerful and has better optional extras. It’s more expensive than the budget Kawasaki Z250SL, but feels a more substantial machine. 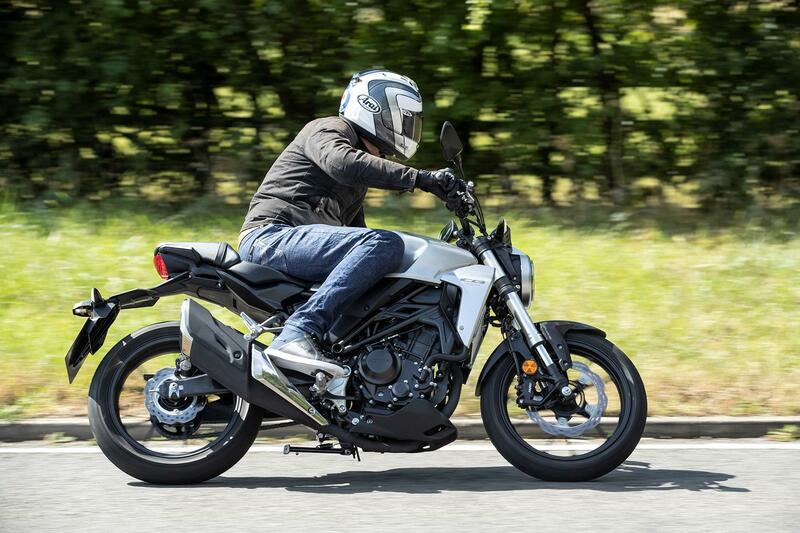 With a claimed 85mpg (MCN managed mid-60 figures when riding hard) the CB300R is frugal on fuel and can be had on a PCP plan for just £59 a month after a £968.41 deposit. You get an LCD dash, but annoyingly it lacks a gear indicator, although there is a fuel gauge and mpg indicator. 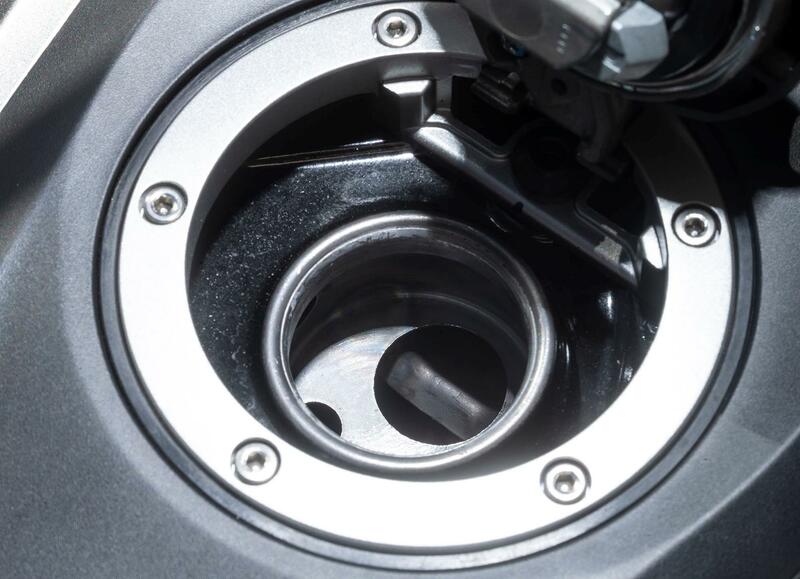 The combined brakes have an ABS system that is linked to an IMU that modulates the brake pressure between the front and rear calipers to keep the bike’s pitching controlled under hard braking. Lights are LED all around and there are some nice styling details. On a side note, there is an annoying bar in the fuel filler stopping you inserting the pump’s nozzle fully. Front brake 1 x 296mm disc with Nissin four-piston radial caliper, ABS. Honda launch the CB250 in 1992 and produced it all the way through until 2003 before discontinuing the model. There was then a 15 year hap before they launched the CB300R in 2018. The CB125R is a 125cc version using a single cylinder motor while the CB1000R is a Fireblade-engined naked bike. All models carry the same CB-family neo retro café styling. No owners have yet reviewed the HONDA CB300R (2018-on). Honda's new CB300R: too good for Brazil only?